This is a square Dodge Trucks Sales and Service porcelain sign. 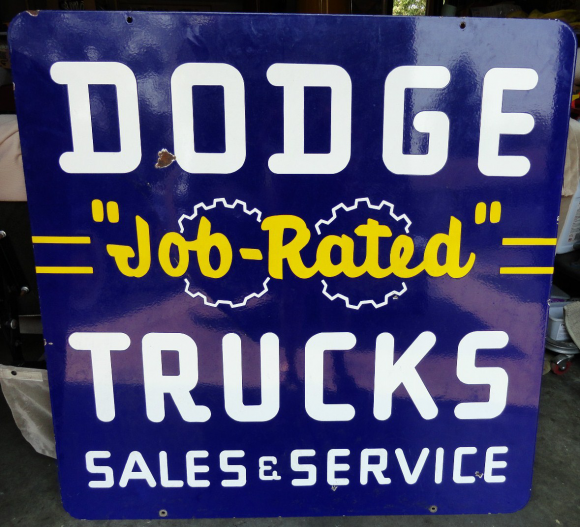 This particular Dodge Trucks Sales & Service sign is blue with white and yellow text. It reads, “Dodge Job-Rated Trucks Sales & Service”.